Marie Pribula passed away at the Villa St. Vincent in Crookston on Thursday, June 17th, 2010 at the age of 90 years. Marie Teresa Rychart was born on March 18, 1920 in Starkweather, North Dakota. She was the daughter of Leo and Tracy (Hulst) Rychart. Marie did most of her growing up on a farm near East Grand Forks. She was united in marriage to Raymond Pribula on June 18, 1940 at Sacred Heart Catholic Church in East Grand Forks, Minnesota. Together they made their home north of East Grand Forks, raised five children and farmed for many years. She was a gentle, caring woman, whom always made the best of what life brought and accepted the world just as it was. Not only was she a gifted seamstress, she was a kind and pleasant person who enjoyed her time with others; especially family. Family gatherings were a constant, and Marie was always willing to go and do. Whether it was piling into the car with her family to spend time with relatives, planting a garden, making jam, sewing nighties, caring for little ones or making Sunday family breakfasts, Marie welcomed life and all it brought with it. Her love and care made all the difference in the world to her children. Marie is now at peace and danced in heaven with her husband, Ray, on their 70th anniversary. Marie is survived by her five children, Donna (Terry) Greenwood, Jim (Jane) Pribula, Fred Pribula, Jerry (Patrice) Pribula of East Grand Forks, Minnesota, and Kathy (Blake) Carlson of Crookston, Minnesota, 14 grandchildren, 14 great-grandchildren and one sister, Nell Christensen of Fortuna, CA. She was preceded in death by her parents, her husband, Raymond on July 2, 2004 and four brothers, Emil, Paul, Raymond, and John Rychart. Isabelle Raymond, 95, of East Grand Forks, Minnesota, died on Monday, February 25, 2008 at the Altru Hospital, Grand Forks, North Dakota. Isabelle Geatz was born on November 26, 1912 in Grand Forks, North Dakota, the daughter of B. Paul and Theresa (Bertsch) Geatz. She grew up in Grand Forks, North Dakota, and attended school at St. Michael's Catholic School. On November 30, 1932 Isabelle was united in marriage to Francis J. Raymond in East Grand Forks, Minnesota. She worked for 5 Star Manufacturing in East Grand Forks, Minnesota and then worked for Widmans Candy Shoppe in Grand Forks, North Dakota. Isabelle loved to bowl, cook and be in her gardens, but most of all she enjoyed being with her children, grandchildren and great-grandchildren. She is survived by two children, Joe (Claudia) Raymond of Grand Forks, North Dakota, and Mary Ann (Jerry) Blair Fergus Falls, Minnesota, 6 grandchildren; Jon (Laura) Raymond, Jason (Sarah) Raymond, Jody Raymond, Brian Blair, Brenda (Cullen) Brown, Beverly Blair, 10 great grandchildren, 2 sisters; Edythe Starkson and Amelia Block both of Crookston, Minnesota and many nieces and nephews. Isabelle was preceded in death by her parents, husband; Francis Raymond on July 26th, 1997, 4 brothers, 3 sisters and a grandson Bruce Blair. 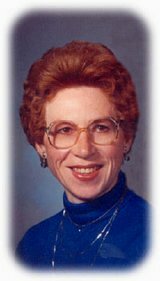 Adelore R. Pilon, 81 of East Grand Forks, Minnesota, passed away on Sunday, October 21, 2007 at the Valley Eldercare Center in Grand Forks, North Dakota. Adelore Robert Pilon was born on September 25, 1926 in Oakwood, North Dakota, the son of Joe and Marie (French) Pilon. Adelore grew up near Oakwood, North Dakota, and attended the North Dakota, School for the Deaf in Devils Lake, North Dakota. On December 28, 1949 Adelore was united in marriage to Jane Metzger at Sacred Heart Church in Oakwood, North Dakota. Adelore farmed near Oakwood until 1966, loved the farm and spoke fondly of his memories on the farm. Following his farming career they moved to East Grand Forks, Minnesota, where he worked for Gorman's Cabinet's retiring from there. He also worked part time for the Eagles Club #350 in East Grand Forks, Minnesota. Family members who survive Adelore is his wife Jane of East Grand Forks, Minnesota, sons; Wayne (Deb) Pilon of Moorhead, Minnesota, Alan Pilon (Sandy Slominski) of East Grand Forks, Minnesota, daughter; Deb (Lee) Everett of Spring Hills, KS., 7 grandchildren and 8 great-grandchildren. Preceding Adelore in death is his parents and a brother Marvin Pilon. Burial/inurnment: Wednesday October 24, 2007, 2:30 P.M. at Sacred Heart Cemetery, Oakwood, North Dakota. Clara Rutherford, 86, of East Grand Forks, Minnesota, died Sunday, August 31, 2008, at Valley Eldercare Center, Grand Forks, North Dakota. Clara Agnes Omlid was born on January 26, 1922, in Roseau, Minnesota, the daughter of Charles and Annie (Olson) Omlid. Clara moved with her family to Fisher, Minnesota where she attended and graduated from Fisher High School. Following her graduation she attended Normal Teachers Training in Grand Forks, North Dakota, and taught school in rural Fosston, Minnesota. On August 12, 1944, Clara married Ronald Rutherford at Mendenhall Presbyterian Church in East Grand Forks, Minnesota. They farmed near Fisher, Minnesota, retiring in 1985. In 1993, they moved to East Grand Forks, Minnesota. Clara was an active member of Mendenhall Presbyterian Church and the Fisher American Legion Auxiliary. 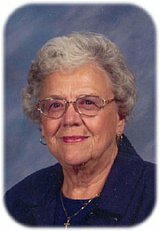 Myrtle Peterson, 88 of East Grand Forks, Minnesota, passed away on Sunday, July 20, 2008 at the Good Samaritan in East Grand Forks, Minnesota. Myrtle C. Nisbet Peterson was born on September 16, 1919 in Mallory, Minnesota, the daughter of William J. and Eva B. McDonald Nisbet. Myrtle attended Mallory Grade School and graduated from the Northwest School of Agriculture in Crookston, Minnesota in 1936. In 1940 she received her cosmetology License from Demming Beauty College in Grand Forks, North Dakota. She relocated to Portland, OR in 1942. Myrtle worked at several beauty shops including a co-ownership in a neighborhood shop. In 1948 she was offered a position of teaching at the College of Beauty and she was employed there until 1969. On September 16, 1949 she was united in marriage to Sterling (Ted) Peterson in Vancouver, WA. Myrtle served as Cub Scout Leader while her son Douglas was in Boy Scouts and from 1969 to 1972 she worked as a receptionist at a beauty shop. In 1974 she moved back to Minnesota. Preceding Myrtle in death are her parents, husband; Ted on October 27, 1968 an infant daughter Sharon, stepson Richard Peterson and 1 brother; Herbert Nisbet. Gladys Rosenberg 86 of East Grand Forks, Minnesota, passed away on Saturday, January 24th, 2009 at the Altru Hospital in Grand Forks, North Dakota. Gladys Rosenberg was born September 3, 1922, in Grand Forks, North Dakota, the daughter of Olaf and Rena (Nygaard) Amundson. She grew up and attended Central High School in Grand Forks, North Dakota. She moved to Chicago, IL where she worked at Douglas Aircraft, and also modeled clothing. She was previously married to Paul Francis Carroll in Chicago, IL. She moved to Grand Forks and married Harold Rosenberg on November 11, 1950 in Mitchell, South Dakota. She worked at the VFW, 1 Hour Martinizing, Sweetheart Bread and her and Harold owned and operated the Dairy Queen in Grand Forks, retiring in 1995. She is survived by her husband Harold of East Grand Forks, Minnesota, son Leonard (Mary) Rosenberg of Maple Grove, Minnesota, daughter Carrie (Joel) Miller, of East Grand Forks, Minnesota, grandchildren, Christine (Chris) Holt of East Grand Forks, Carrie (Matt) Fowler, Cedar Rapids, Iowa, Jenny Miller of Grand Forks, Samuel Rosenberg of Richfield, Minnesota, four great-grandchildren, Noah, Avery and Elijah Holt and Elly Zejdlik, two sisters, Dorothy Fore of East Grand Forks, and Helen Schmuckal of Chula Vista, CA. She was preceded in death by her loving children, Paul Carroll III, and a daughter Christine Carroll; three sisters: Maybelle Busby, Margaret Stauning and Tootsie Hemenover, and three brothers: Roy, Don and Art Amundson. Funeral Services: 11:00 AM, Wednesday, January 28, 2009 at the Stennes Funeral Home, East Grand Forks, Minnesota. Harold "Hersh" Rosenberg 85 of East Grand Forks, Minnesota, passed away on Friday, March 12, 2010 at the Altru Hospital in Grand Forks, North Dakota. Harold Rosenberg was born on December 16, 1924 in Grand Forks, North Dakota, the son of Samuel and Ethel (Ruben) Rosenberg. Harold grew up and attended school at Grand Forks Central High School where he graduated from. In 1943 he entered the United States Army and served his country until 1946 during World War II. He worked for Zejdlik and Martin in East Grand Forks, Minnesota as a Butcher and then also for Northland Packing of Grand Forks, North Dakota. On November 11, 1950 he was united in marriage to Gladys Amundson in Mitchell, South Dakota. In 1975 they purchased the north end Dairy Queen in Grand Forks, North Dakota, and owned and operated it until their retirement in 1995. Harold is survived by a son, Leonard (Mary) Rosenberg of Maple Grove, Minnesota; daughter, Carrie (Joel) Miller, of East Grand Forks, Minnesota; grandchildren: Christine (Chris) Holt of East Grand Forks, Carrie (Matt) Fowler, Cedar Rapids, Iowa, Jenny Miller of Grand Forks, and Samuel Rosenberg of Richfield, Minnesota; four great-grandchildren: Noah, Avery and Elijah Holt and Elly Zejdlik; and one brother, Max Rosenberg of Fargo, North Dakota. Harold was preceded in death by he parents Samuel and Ethel; son: Paul; his wife Gladys on January 24, 2009; brothers: Sid, Bill, Archie, and Leonard Rosenberg along with one sister Lillian Gutnik. Memorial Park South Cemetery, Grand Forks, North Dakota. Jane A. Perkins, 63 of East Grand Forks, Minnesota, passed away on Thursday, January 29th, 2009 at the Altru Hospital in Grand Forks, North Dakota. Jane Ann Parker was born on July 6, 1945 in Glenwood, Minnesota, the daughter of John and Florence (Velander) Parker. Jane grew up and attended school in Detroit Lakes, Minnesota, graduating from Detroit Lakes High School in 1963. She went on and attended Moorhead State College in Moorhead, Minnesota and graduated from there in 1967. On April 22, 1967 she was united in marriage to Jim Perkins in Detroit Lakes, Minnesota. Jane taught school in West Fargo, North Dakota, and then moved to East Grand Forks, Minnesota in 1971 where she taught school. In 1986 she began teaching Elementary Physical Education at Viking Elementary in Grand Forks, North Dakota, until retiring in 2008. Jane is survived by her husband Jim of East Grand Forks, Minnesota; children: Jeff (Jill) Perkins of Detroit Lakes, Minnesota, Bryan (Erica) Perkins of East Grand Forks, Minnesota and Mark Perkins of Browerville, Minnesota; four grandchildren; siblings: Pat Parker, Peter Parker, Michael (Jane) Parker, Tony (Marsha) Parker, Mary Frigstad, all of Detroit Lakes, Minnesota and Nancy (Dwight) Parker of Iowa City, Iowa. Jane is preceded in death by her parents and one sister Susan. Julia Paulsrud, 90, of Shelly, Minnesota, died Wednesday, March 25, 2009 at the Halstad Lutheran Memorial Home, Halstad, Minnesota. Julie B. Paulsrud was born on February 3, 1919 in Grygla, Minnesota, the daughter of Ole and Helga (Berg) Bratteli. Julia grew up on a farm and attended school in Grygla, Minnesota. She was baptized and confirmed at Valle Lutheran Church in Rural Grygla. On October 14, 1944 she was united in marriage to Orris Paulsrud in Nielsville, Minnesota. They lived and farmed their entire life near Nielsville, Minnesota. She was a member of the St. Petri Lutheran Church, Nielsville, Minnesota and drove School Bus for the Nielsville School District for a number of years. Julia is survived by three daughters: Lynette (Guy) Beckedahl of Sherwood, North Dakota, Ginger (Gale) Odegaard of Ada, Minnesota, and LeeAnn (Larry) Geiselhart of Fargo, North Dakota; 1 son Doug (Sandy) Paulsrud of Nielsville, Minnesota, 9 grandchildren: Kim, Tracy, Heidi, Amy, Tim, Abby, Kelsey, Ashley and Dana; 6 great grandchildren: Tatum, Griffin, Carlyn, Jackson, Isabell and Zoye; one sister : Tillie Larson of Seattle, WA. Julia is preceded in death by her parents; husband Orris on August 16, 2002; 3 brothers: John, Hal and Sam Bratteli; 3 sisters: Betsy Parker, Margaret Nubgaard and Thelma Spokely. Berta B. Flores Ramirez, 45 of East Grand Forks, Minnesota passed away suddenly on Monday, February 9th, 2009 at the Altru Hospital in Grand Forks, North Dakota. Berta was born on November 17, 1963 in Cotulla, Texas, the daughter of Francisco B. Flores and Margarita DeHoyos. Berta grew up in Cotulla, Texas, but lived most of her life in East Grand Forks, Minnesota, where she met her future husband Enrique Ramirez in 1989 and enjoyed 19 years of marriage. Family members who survive Berta include her husband Enrique Ramirez of East Grand Forks, Minnesota; children: Bianca (Jose) Flores of East Grand Forks, Minnesota, Amber Ramirez of East Grand Forks, Minnesota and Emilio Ramirez of East Grand Forks, Minnesota; mother: Margarita DeHoyos of Cotulla, Texas; brothers and sisters: San Juanita (Anthony) Garza of Cleburne, Texas, Gabriel (Elsa) Flores of East Grand Forks, Minnesota, Yolanda (Roddy) Salazar of East Grand Forks, Minnesota, Consuelo Flores of Cotulla, Texas, Falinda Warner of Austin, Texas, Maribel (Juan Antonio) Cardenas of East Grand Forks, Minnesota and Francisco (Angel) Flores Jr. of Andover, Minnesota; grandson: Christopher Gonzalez of East Grand Forks, Minnesota and several nieces and nephews. Berta is preceded in death by her father: Francisco Flores; brother: Alvaro Gomez and a son: Christopher Cain Ramirez. Berta was a great mother, grandmother, daughter and sister. She will be missed dearly. Claire R. Rich, 80 of Grand Forks, North Dakota, passed away on Tuesday, February 2, 2010, at the Altru Hospital in Grand Forks, North Dakota. Claire R. Jacobs was born on March 4, 1929 in Queens, New York, the daughter of Albert and Alexzandrina (Goebel) Jacobs. Claire grew up and attended school in Queens, and then with her parents moved to North Hollywood, CA in 1946. In 1951 she married Paul Rubright in CA. She worked as a waitress in CA all her life. In 1975 she was united in marriage to Wayne Rich in CA. In 1992 she moved to Columbus OH and then to Grand Forks, North Dakota, in 1994. Claire enjoyed her family, going to Cass Lake for many summers, traveling, TV and talking about the Movie Stars she waited on in California during her career of Waitressing. She will be greatly missed by her family and friends. Family members who survive Claire include her two sons: Richard (Hilda) Rubright of Las Vegas, NV and Thomas (Michele) Rubright of Columbus, OH; grandchildren: Jonathan and Derek Rubright and Christopher and Adam (Jenny) Rubright; one brother: William Jordan of Colorado Springs, CO.
Claire is preceded in death by her parents; a son Robert Rubright and husbands. Josie Lola Perkerewicz, infant daughter of Josh and Jill (Sorenson) Perkerewicz was born and died on August 20, 2010 at Altru Hospital, Grand Forks, North Dakota. Josie is survived by her parents, Josh and Jill Perkerewicz and sister, Jerzey of Grand Forks, North Dakota; Grandparents, Harry and Lori Perkerewicz, Fisher, Minnesota, Rhonda Perkerewicz, East Grand Forks, Minnesota and Ed and Judy St. Germain, Argyle, Minnesota; Great-grandparents, Charles and Lotus Scheving, Monica Perkerewicz, Calvin and Bonnye Sorenson, Charles and Lola Gowan and Airne and Elaine St. Germain; and Great-great grandma, Corrine Boushey. She is preceded in death by her grandfather, Jay Sorenson; and great-grandfather, Rapheal Perkerewicz. Loretta Renden, 73, of Grand Forks, North Dakota, passed away on Wednesday, May 5, 2010 at Altru Hospital, Grand Forks, North Dakota. Loretta Marion (Lindquist) Renden was born on October 3, 1936, on her family farm in rural East Grand Forks, Minnesota. Loretta was the first born daughter of Edwin and Ruth (Skavlem) Lindquist. Loretta grew up on the farm working very hard to help support her family. She attended the local rural school which was located on the corner of the family farm. She completed the 11th grade at East Grand Forks Senior High School. She moved to Grand Forks, North Dakota, and worked at C & R Laundry in the later 1950's where she met Deloris Renden who introduced her to her brother, Vernon D. Renden, the love of her life. Loretta was united in marriage on April 25, 1959, to Vernon Renden at Bethany Lutheran Church in rural East Grand Forks, Minnesota. She moved to Grand Forks, North Dakota, and raised her family of four children, David, Dennis, Nancy and Janet. She went back to work after Janet started school and worked for the Ramada Inn for 5 years and the University of North Dakota, for 11 years as a housekeeper. She was a loving, caring, devoted, and beautiful wife, mother, grandmother and sister. She was an avid weather watcher and was nicknamed "The Weather Girl" because of her keen interest in any storms that may be approaching. Family members who survive Loretta are, 2 sons, David of Fargo, North Dakota, Dennis of Grand Forks, North Dakota, 2 daughters, Nancy (Rick) Anders of Lawrenceville, GA and their children, Derek, Christen, Katelyn and Jonathan Anders, Janet (William Jr.) Mutcher of Grand Forks, North Dakota, and their two sons, Mathew and Michel Mutcher, also survived by two brothers, Arnold Lindquist of East Grand Forks, Minnesota and Duane (Ellen) Lindquist of Grand Forks, North Dakota, one sister, JoAnn (Wayne E.) Nelson of rural Oslo, Minnesota and one brother-in-law, Norman Renden of Owatonna, Minnesota along with several nieces and nephews. Loretta is preceded in death by her parents, husband Vernon on December 28, 2007, grandparents, several uncles, aunts, brothers and sisters-in-law including a special sister-in-law Deloris Dorscher who died October 26, 2009. Loretta will be greatly missed by all who loved her and crossed her path during her life. Place of Death: Camp Pendleton, Calif.
Cpl Ryan Pape, 23, of East Grand Forks, Minnesota died Thursday, December 3, 2009 at Camp Pendleton, while conducting a night time Low Level Parachute Operation on December 03, 2009. Ryan Pape was born July 18, 1986 in Grand Forks, North Dakota, the son of Ron and Shar (Monk) Pape. He graduated from East Grand Forks Senior High School in 2005. Following graduation he worked on the family farm, until his enlistment. Corporal Pape enlisted in the Marine Corps on October 17, 2005 from East Grand Forks, Minnesota and reported to the Marine Corps Recruit Depot, San Diego for recruit training. After graduating from the Marine Corps Recruit Depot, Private First Class Pape reported to the School of Infantry (SOI) at Camp Pendleton, CA. Upon graduation from the School of Infantry, Private First Class Pape received the primary Military Occupational Specialty of 0311, Rifleman. On April 05, 2006 Private First Class Pape reported to 1st Reconnaissance Battalion, 1st Marine Division at Camp Pendleton, CA where he was assigned to the Reconnaissance Training Platoon. In June 2006, Private First Class Pape reported to the Basic Reconnaissance Course at the Naval Amphibious Base in Coronado, CA Private First Class Pape graduated from the Basic Reconnaissance Course on August 25, 2006 and received the Military Occupational Specialty of 0321, Reconnaissance Man. Upon graduation from the Basic Reconnaissance Course, Private First Class Pape was assigned to 2nd Platoon, Bravo Company, 1st Reconnaissance Battalion as a Recon Scout. On December 01, 2006 Private First Class Pape was promoted to Lance Corporal. While assigned to Bravo Company, Lance Corporal Pape attended the Marine Corps Basic Scout Sniper Course at Camp Pendleton, CA and received the Additional Military Occupational Specialty of 0317, Scout Sniper. On April 01, 2007 Lance Corporal Pape deployed to Iraq in support of Operation Iraqi Freedom and returned to the United States on October 26, 2007. During the deployment, Lance Corporal Pape was awarded the Combat Action Ribbon. Upon his return to the United States, Lance Corporal Pape was assigned as an Assistant Team Leader for 2nd Platoon, Bravo Company, 1st Reconnaissance Battalion. During this period Lance Corporal Pape attended and graduated from the Marine Corps Urban Scout Sniper Course, the Marine Corps Mountain Scout Sniper Course, and the United States Army Basic Airborne Course. On October 14, 2008 Lance Corporal Pape again deployed to Iraq in support of Operation Iraqi Freedom and returned to the United States on May 14, 2009. Lance Corporal Pape was promoted to Corporal on April 01, 2009. Upon his return to the United States, Corporal Pape was assigned to the Force Reconnaissance Company, 1st Reconnaissance Battalion, I Marine Expeditionary Force. Corporal Pape was assigned to 1st Platoon and served as a Recon Scout. During this period, Corporal Pape attended the Survival, Escape, Resistance, and Evasion Course, as well as a Mountain High Altitude Survival Course. Corporal Pape's personal awards include the Navy/ Marine Corps Achievement Medal, Combat Action Ribbon, Global War on Terrorism Service Medal, Marine Corp Good Conduct Medal, Iraq Campaign Medal with one bronze star, Certificate of Commendation, Sea Service Deployment Ribbon with bronze star in lieu of second award, the National Defense Service Medal, and the Navy/ Marine Corps Parachutists Insignia. He is survived by his parents of East Grand Forks, brother Ross (Carissa) Pape of East Grand Forks, grandparents, Robert Jr. and Donna Pape of East Grand Forks, Herbert and Dona Monk of East Grand Forks, great grandparents, Robert Sr. and Henrietta Pape of East Grand Forks, and Gladys Useldinger of Grand Forks. He is preceded in death by his brother CPL Riley Pape on May 18, 2005. Nathan Rockstad, 23 of Grand Forks, North Dakota, passed away on Sunday, May 30th, 2010 at Altru Hospital in Grand Forks, North Dakota. Nathan Alan Rockstad was born on July 31, 1986, in Grand Forks, North Dakota, the son of Greg and Loretta (Morth) Rockstad. Nate attended school at Sacred Heart and participated in music and football, graduating with the Class of 2004. He went to college at Northland Community College in Thief Rivers Falls, Minnesota and graduated with the Class of 2006 with a degree in aviation mechanics. Nate worked in Milwaukee, Wisconsin, briefly before returning to the area to take a job with Corporate Air. His current job was with Defense Support Services (DS2) in Grand Forks which took him to other parts of the country. His most recent adventure was working in McAllen, Texas, which he thoroughly enjoyed. His passion for his work and love for his country was clearly evident. For those who knew Nate, he was a quiet, gentle giant and a man of few words. He was a thoughtful sensitive person who cared about other people; his warm and friendly personality always welcomed people. Nate's first response was almost always a smile. He enjoyed hunting, fishing and spending time with his family and friends. In particular, Nate admired and loved his big brother, Adam who was his role model. Surviving members of the family include: parents, Greg and Loretta Rockstad; brother, Adam (Paula) Rockstad; nephew, Ryan Rockstad; grandparents, Herman and Mary Morth and Norrine Rockstad; and many aunts, uncles and cousins. With his passing, Nate joins his grandfather, Richard Rockstad, Uncle Philip Rockstad and Uncle Keith Pfannenstein. Bill "Grubb" Palmer, 60, passed away on Saturday, December 19, 2008. Bill was born to Maurice (Doc) and Phyllis Palmer in southern Minnesota. They moved to East Grand Forks, Minnesota in 1958 where he grew up and attended Sacred Heart Schools, graduating in 1966. Bill had various driving jobs with numerous trucking firms in the area, and most recently worked as a dispatcher for Britton Transport, Grand Forks, North Dakota, until 1998. Bill was a best friend and will be missed dearly by all who knew him. He is survived by his father "Doc" (Arlo) Palmer of College Station, Wash. brother Jack, Hill, Iowa, sister Pat, Hillsboro, Oregon and brother Chuck, Walla Walla, Wash.
Bill was preceded in death by his mother Phyllis and a younger brother, Jim. Burial will be with his family in Washington. Memorial Services: 2:00 P.M., Friday, December 26, 2008 at the Stennes Funeral Home, East Grand Forks, Minnesota. Arla J. Rarick, 75, of Climax, Minnesota, died Sunday, April 11, 2010 at her home in Climax, Minnesota, surrounded by her family. Arla June Lieske was born on May 23, 1934 in Trail, Minnesota the daughter of Edward and Elinor (Milligan) Lieske. Arla grew up near Trail and Red Lake Falls, Minnesota area. Arla worked at St. Frances Hospital, Crookston as an aide. On June 4, 1955 she was united in marriage to DuWayne Rarick in Terrebonne, Minnesota. She worked as the second Cook at Climax High School for 26 years retiring in 1999. Family members who survive Arla include her husband DuWayne of Climax, Minnesota, Children, Patrick (Kayann) Rarick of Climax, Minnesota, William (Teresa) Rarick of Harrison City, PA, Dianne (Michael) Elwood of Climax, Minnesota and Russell (Sherry) Rarick of East Grand Forks, Minnesota; 19 grandchildren, 10 great grandchildren, one brother, Floyd Lieske of Rogers, Minnesota, sisters Wilma Rahier of Cohasset, Minnesota, Rose Ann (James) Jacobson, of Bedford, Texas, Margaret (Duane) Adelman of Red Lake, Falls, Minnesota, and Juanita Samuelson of Crookston, Minnesota. She was preceded in death by her parents, 1 sister Edna and 1 brother Billy. Thursday April 15, 2010, 2:00 P.M. at Cathedral of the Immaculate Conception, Crookston, Minnesota. Robert R. Peterson, 75, of East Grand Forks, Minnesota passed away on Sunday, March 20, 2011 at Altru Hospital, Grand Forks, North Dakota. Robert Raymond Peterson was born on April 15, 1935 in Grand Forks, North Dakota, the son of Robert and Iva (Nelson) Peterson Sr.. Robert grew up and attended school in Grand Forks, North Dakota, graduating from Central High School. On July 12, 1956 he was united in marriage to Marlys Storey in East Grand Forks, Minnesota. Robert worked for Bridgeman Creameries, Valley Dairy and Minnesota, Dairy in Grand Forks, retiring on September 3, 1997. Robert had served as a Deacon and Elder at Mendenhall Presbyterian Church and was also in charge of all of the East Grand Forks Boy Scout Troops that met regularly at Crestwood School. Robert is preceded in death by his parents; two sisters, Clara Nagel, Arlene Huber; and a brother, Carl Peterson. The family respectively asks that in lieu of flowers that Memorials are preferred. 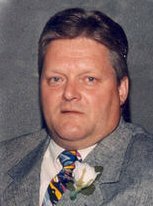 Donald D. Partlow, age 61, of East Grand Forks, Minnesota, passed away on Sunday, June 19, 2011 at Altru Hospital in Grand Forks, North Dakota. Donald Dean Partlow was born on May 22, 1950 in Grand Forks, North Dakota, the son of Dwayne and Orpha (Hagen) Partlow. Donald grew up and attended school in East Grand Forks, Minnesota, graduating from East Grand Forks Senior High School with the Class of 1968. Donald then attended Bemidji State University. He managed the "Dog House" in East Grand Forks, Minnesota and also worked for Logan's Clothing in East Grand Forks, Minnesota. Donald was an Accountant for Agsco and also had Don Partlow Accounting before retiring in 1999. Donald also managed the Grand Forks Speedway for many years. From 1980 to 2011 he served on the East Grand Forks School Board and also served for several years on the Northland College Board and Advisory Council along with help managing The Douglas Place in East Grand Forks. Donald was proud of his hockey career both in High School and College. Donald was also the Founder of Northern Outlaw Sprint Car Association which he had a passion for. Family members who survive Don include his children, Marc Partlow and Tami Jo (Bob) Martin both of East Grand Forks, Minnesota along with three grandchildren, Torey, Rayce and Brodix; one brother Dan (Julie) Partlow and a sister, Marsha (Tom) Spoor both of East Grand Forks, Minnesota and numerous nieces and nephews. Donald is preceded in death by his parents and one brother Ronald Partlow. Elaine M. Pierce, 74, of Grand Forks, North Dakota, passed away Tuesday, June 26, 2012, at Altru Hospital, Grand Forks. Elaine was born August 26, 1937, in Reynolds, North Dakota, to Ralph and Ruth (Olson) Adams. She grew up in Grand Forks and graduated from St. James High School. On November 22, 1955, Elaine married Lyle Pierce and they farmed near Euclid, Minnesota for many years. They moved to Grand Forks in 1980. She had a passion for sewing and at one time had her own drapery business, however, she decided to take this gifted talent to a much higher level. After surviving a brain tumor she celebrated life by sewing thousands of jackets and childrens outfits for those who could use them. She was truly a talented and gifted seamstress with a heart spun of pure gold. No matter what time of day or evening it was you could always find Elaine sitting at her sewing machine sewing a jacket. It would only take her 2-3 hours to complete a jacket. Elaine enjoyed spending time with Lyle and family at their winter home in Mesa, AZ. Elaine would never let her kids or grandkids get away without giving them big hug!! She was a very special person and will be missed so much by everyone. She is survived by her husband, Lyle, and sons: Kevin (Jeanette) Pierce of Grand Forks and Michael (Linda) Pierce of Grand Forks, daughter-in-law Kathy Dufault, son-in-law Randy Dufault, 10 grandchildren, three great-grandchildren. Preceding her in death were her parents, son Wayne Pierce, daughter Karen Dufault, and brother Darrell Adams. Scarlette Rae Razmyslowski, infant daughter of Scott and Elaine Razmyslowski of Climax, Minnesota passed away unexpectedly on Saturday, February 4, 2012 at Riverview Health Center in Crookston, Minnesota. Scarlette Rae Razmyslowski was born on July 13, 2011 in Grand Forks, North Dakota. Scarlette has blessed us for only a short time with her beautiful smile and bubbly personality and we will forever hold her in our hearts. Cherished family members of Scarlette that survive her include her parents,Scott & Elaine Razmyslowski of Climax, Minnesota; grandparents, Ray and Sheila (Halland) Razmyslowski of Climax, Minnesota, Jim and Judy (Snyder) Hagen of Crookston, Minnesota and Gary Sundquist; great-grandparents, Mark and LaVonne (Halland) Froemke of Crookston, Minnesota, Jan Kurz (Ralph Menke) of Beltrami, Minnesota, Leona Snyder of Mesa, AZ; great-great-grandmother, Albertha Bendickson of Bejou, Minnesota; aunts, Brianna Razmyslowski (Ethan Grove) of Moorhead, Minnesota, Shanel Finke of Climax, Minnesota, Jamie (T.J.) Dauksavage of Crookston, Minnesota and Tabitha (James) Nesvold of Buffalo, NY and an uncle, Tommy (Nicole Randall) Sundquist of Crookston, Minnesota along with many cousins. Scarlette was preceded in death by great-grandparents, Joe Snyder, Erin Seaweard, Herbert Sundquist and Steven Halland; great-great-grandparents, Stanley and Jeanette Halland and Bert Bendickson along with one great-uncle, David Kurz. Dorothy Piker, 94, passed away peacefully at Valley Eldercare, Grand Forks, North Dakota, on Wednesday, March 16, 2011. Dorothy (Zipoy) Piker was born in Warren, Minnesota on April 25, 1916 to Andrew and Annie (Palla) Zipoy. When she was two years old the family moved to Denham, Minnesota. As a young lady, Dorothy moved back to this area to work for her cousin. On November 6, 1937 she married Melvin Piker of Angus, Minnesota at Swede Park Lutheran Church in Denham, Minnesota. Together they farmed and raised four children. They lived on their farm for several years after their retirement and after that they moved to Good Samaritan Village in East Grand Forks. Her husband Melvin died in 2002. Dorothy was a member of Holy Trinity Lutheran Church in Tabor and was active in her Ladies Aid Group. She was best known for her homemade Kolachi's and taught many young homemakers how to bake them. She was also an avid gardener and loved her flowers. Dorothy is survived by three children, Judy (Paul Smart) of Grand Forks; Shirley (Ordell Enstad) of Goldendale, WA; Richard Piker (Lanna) of East Grand Forks, Minnesota, a sister, Anne Peterson of Duluth, Minnesota, eight grandchildren and nineteen great-grandchildren. She was preceded in death by her parents; husband, Melvin; daughter, Jeanette; grandson, Dean Enstad; brothers, Tom, Emil and John Zipoy and two infant brothers. In lieu of flowers the family respectively asks that memorial be given to a charity of choice. Robert E. Pape Sr., age 103 of East Grand Forks, Minnesota, passed away on Monday, July 18, 2011 at the Good Samaritan Center in East Grand Forks, Minnesota. Robert Erick Sr. was born in Esther Township of Polk County rural East Grand Forks, Minnesota the son of William and Ida Pape. Robert grew up in rural East Grand Forks and attended Banner School District #51 (1 � miles from his farm) for 8 years. He drove his truck hauling potatoes for R.L. Douglas. In the winter he hauled coal for area businesses. He married Luella Laidly in East Grand Forks. Following Luella's death he moved to his dad's farm in rural East Grand Forks. He married Clara Prudhomme in 1941. Clara passed away on January 1, 1994. He married Henrietta Collins on October 12, 1998 in Crookston, Minnesota. He wintered in AZ for a number of years. He enjoyed fishing and spent many summers at his cabin on Cass Lake and later at Springsteele Resort on Lake of the Woods. He was a member of Bethany Lutheran Church. Robert was one of the founders of the East Grand Forks Heritage Foundation. He was an honorary member for life of the Alvarado Lion's Club. He also served many years on the School Board and town board of Esther Township. Family members who survive Robert include his wife, Henrietta of East Grand Forks, Minnesota; children, Robert (Donna) Jr. and Rodney (JoAnn) Pape both of East Grand Forks, Minnesota, Marjorie (Jim) Gowan of Mesa, AZ, Dorothy (Oliver) Danielson of Santa Clara, CA and Carol (John) Johnson of East Grand Forks, Minnesota; 17 grandchildren and numerous great-grandchildren and great-great-grandchildren. Robert was preceded in death by his parents; wives, Luella and Clara; brothers, George and Fred; sisters, Minnie, Marie and Anna; great-grandchildren, Riley Pape, Joshua Gowan and Ryan Pape. 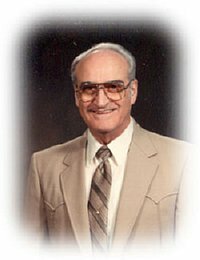 Joseph Francis Riske, age 87, of East Grand Forks, Minnesota, passed away on Thursday, January 16, 2014 at Valley Elder Care in Grand Forks, North Dakota, with his family by his side. Joseph was born to the late Lawrence and Helen (Reszka) Riske in Bowsmont, North Dakota. He grew up in the Minto and Fordville areas of North Dakota. He then enlisted in the US Army and on February 9, 1948 Joseph was united in marriage to Florence Budzeak in Grand Forks, North Dakota, at Saint Michael's Catholic Church. Joseph worked for Western Fruit and CL Linfoot for many years before working for Northern Roofing. He then went into business for himself owning and operating Riske Roofing with 2 of his sons. Joseph is survived by his wife of 65 years Florence, children: Diane Catalano of Thompson, North Dakota; Joanne (Jerry) Rozeveld of Grand Forks, North Dakota; Betty (Larry) Longoria of Grand Forks; Joseph (Joni) Riske of Fisher, Minnesota; John (Joyce) Riske of Reynolds, North Dakota; and Michael (Shirley Hausauer) Riske of East Grand Forks, Minnesota; as well as many grandchildren, great-grandchildren and great-great-grandchildren. He is also survived by his siblings Stanley Riske of Biwabik, Minnesota; Emelia Homme of Grand Forks, North Dakota; and Marian Brownell of Grand Forks, North Dakota. Predeceasing Joseph are his parents as well as 10 other brothers and sisters. Carlton Pye age 76 of East Grand Forks, Minnesota, passed away on Sunday, May 29, 2011 at his home in East Grand Forks, Minnesota. Carlton Pye was born on April 10, 1935 in Worth County, Georgia, the son of Emerald Douglas and Pearl (Bryan) Pye. Carlton grew up and attended school in Worth County, GA. He entered the United States Air Force and served his country for 20 years before retiring on August 31, 1972. While serving in the Air Force, Carlton was stationed in many countries doing aircraft repair. On March 21, 1964 he was united in marriage to Nancy Sorenson in Grand Forks, North Dakota. Following his retirement in 1972 they made their home in East Grand Forks, Minnesota, for a period of time then moved to Pembina, North Dakota, and then to Grand Rapids, Minnesota before moving back to East Grand Forks, Minnesota in 2009. Carlton loved to fish, garden and golf along with being a volunteer fireman. Carlton was a life member of the American Legion, VFW and the DAV. Family members who survive Carlton include his wife Nancy, of East Grand Forks, Minnesota; a daughter, Stephannie (Brian) Knutson of Warren, Minnesota; two granddaughters, Christine Knutson and Kayla Knutson, both of Grand Forks, North Dakota; and one great-granddaughter, Calie; siblings: Elma Brazil, Warine Boone, Frankie Dugger and Lottie Thornhill. Carlton was preceded in death by his parents; four brothers and two sisters. Roger Ruthenberg, 72, of Fertile, Minnesota, died Thursday, April 10, 2008, at his home. Roger Edward Ruthenberg was born June 22, 1935, the son of Edward and Bertha (Brunner) Ruthenberg. He lived his early years near Neby, Minnesota, then with his parents he moved to a farm near Nielsville, Minnesota, where he went to school. On August 15, 1958 Roger was united in marriage to the love of his life Darlene Orvik in Nielsville, Minnesota. They made their home in Nielsville. He owned his own Service Station in Nielsville and Roger and Darlene also owned R & D Greenhouse in Nielsville for many years. He worked construction in West Fargo, North Dakota, and then for the Experiment Station at the University of Minnesota in Crookston, Minnesota, until his retirement. They moved to rural Fertile, Minnesota in 1999. Roger loved to collect John Deere tractors and Chevy trucks. He enjoyed gardening, traveling to Arizona and Florida in the winters and attending The Western Minnesota Steam Threshers Reunion in Rollag, Minnesota and most of all spending time with his grandchildren and great-grandchildren. Family members who survive Roger include his wife Darlene of Fertile, Minnesota; two daughters, Sandra (Elroy) Hedde of Buxton, North Dakota, and Debra (Bruce) Sondrol of Crookston, Minnesota; grandchildren: Robyn Reed of Buxton, North Dakota, Jacquelyn Hedde of Crookston, Minnesota, Melissa Sondrol of Pine Island, Minnesota, and Megan Sondrol of Oronoco, Minnesota; and two great-grandchildren, Jackson & Isabelle Reed of Buxton, North Dakota. Preceding Roger in death are his parents, and a sister, Edythe Engelstad. Robert Rakstad, 80, of East Grand Forks, Minnesota, passed away on Wednesday, June 17, 2009, at Valley Memorial Homes, Woodside Village in Grand Forks, North Dakota. Robert Ivan Rakstad was born on November 10, 1928, in Kempton, North Dakota, the son of Sigvart and Mamie (Jenson) Rakstad. Robert grew up and attended school in Palermo, North Dakota. He graduated from Parshall High School in Parshall, North Dakota. He worked as a Blacksmith with his brother Norin in Parshall, North Dakota. On November 21, 1952 he was united in marriage to Kathleen Smith in Bottineau, North Dakota. They lived in Westhope, North Dakota, and operated a Blacksmith Shop until moving to Minot where he worked for Main Motors. He worked construction for many years operating heavy machinery. In 1961 they moved to Grand Forks, North Dakota. They moved to East Grand Forks, Minnesota in 1967. He owned and operated Rakstad Trucking Company. Members of Robert's family include his wife Kathleen of East Grand Forks, Minnesota; children: JoAnn (John) Maloney of Bismarck, North Dakota, and Duane Rakstad of East Grand Forks, Minnesota; three grandchildren: Paul (Rebecca) Maloney of Mandan, North Dakota, Shawn (Tara) Maloney of Redmond, WA and Michele Rakstad of Moorhead, Minnesota; four great-grandchildren: Bridget & Paige Maloney, Alicia & Anthony Lamberson; one sister: Inez (Rudy) Folden of Parshall, North Dakota. Robert was preceded in death by his parents; brothers: Norin, Odin and Melvin "Mac"; sisters: Anna, Harriet, Margaret and Marian. Howard Rutherford, 87, of East Grand Forks, Minnesota, passed away on Thursday, January 28, 2010 at the Altru Hospital, Grand Forks, North Dakota. Howard Thomas Rutherford was born on January 8, 1923 in Grand Forks, North Dakota, the the son of Robert and Lucy (Chalmers) Rutherford. He grew up in Keywest, Minnesota and attended school in Fisher, Minnesota graduating with the Class of 1942. On March 29, 1959 he was united in marriage to Marlene Bring in East Grand Forks, Minnesota. Howard farmed his entire life in the Keywest area and also worked for the American Crystal Sugar Company of East Grand Forks, Minnesota as a mechanic. Howard was a member of the Mendenhall Presbyterian Church, Masons and Eastern Star of East Grand Forks, Minnesota, the East Grand Forks Heritage Center, Nisbet Cemetery Board of Directors as a trustee, and the East Grand Forks Senior Center. Loving family members who survive Howard include his daughter Ann (Bryan) Enright of East Grand Forks, Minnesota; three grandchildren: Sean Enright (Fiance Amanda Hanson), Travis Enright (Fiance Sarah McDonald) of East Grand Forks, Minnesota, and Dustin Rutherford of Grand Forks, North Dakota. Preceding Howard in death are his parents; his wife Marlene on April 19, 2005, son Tom on May 5, 1997; and one sister, Dona Knutson. Funeral Service: Thursday, February 4, 2010 in Mendenhall Presbyterian Church, 528 10th St. NW, East Grand Forks, Minnesota. Sylvia Raymond, 86, of Grand Forks, North Dakota, died Friday, December 9, 2011 at the Valley Elder Care, Grand Forks, North Dakota. Sylvia Raymond was born April 2, 1925 in Grand Forks, North Dakota, the daughter of James and Isabelle (Guerard) Shimek. She grew up in East Grand Forks and graduated from East Grand Forks Senior High School in 1943. She worked a number of years for Herbergers Department store. She married Dwayne Raymond in East Grand Forks on August 22, 1946. She worked at the Home of Economy from 1966 to 1990. She is survived by children, Jim Raymond of Jacksonville, FL, Cheryl (Jim) Ward of Grand Forks, Ron (Roxie) Raymond of Williston, North Dakota, Scott (Gayle) Raymond of Minneapolis, Minnesota, and Shelley (Jeff) Galle of Warroad, Minnesota, 15 grandchildren, many great grandchildren and great-great grandchildren, and 1 sister Lee (Merle) Anderson of Climax, Minnesota. She is preceded in death by her parents, her husband and 1 son Jeff. 10:30 AM, Friday, December 16, 2011 at the St. Michael's Catholic Church, Grand Forks, North Dakota. Selma "Sally" Rystad was born on December 8, 1925 the daughter of Aanond and Sigri Rystad in Lessor Township, Polk County, Minnesota. Sally grew up and attended school in McIntosh, Minnesota. She worked at Pioneer Nursing Home in McIntosh before moving to Grand Forks where she worked for the Deaconess Hospital and Valley Memorial Homes of Grand Forks as well as housekeeping around the area. Sally enjoyed being with family and was a great person to have the final say in anything. Sally is survived by one sister, Leone Viehauser of East Grand Forks, Minnesota; nephews, John (Valerie) McDonald of Larimore, North Dakota, Darryl (Cindy) McDonald of Larimore, North Dakota, Mark (Sandra) McDonald of Valley City, North Dakota; nieces, Joan (Charles) Anderson of Edina, Minnesota, Susan McDonald of Ossian, IA, Mary (Robert) Bushey of Emerado, Minnesota and many cousins and extended family. She is preceded in death by her parents; four brothers: Selmer "Sam", Howard, Obert "Tex" and Alvin; four sisters: Josephine, Tillie, Thelma and Olga; three infants; nephews, Allen Voxland and Conrad Hougom; and one niece, Shirly Voxland. Ramiro Ramirez, age 60, passed away Saturday, February 23, 2013, at Sanford Health in Fargo, North Dakota. Ramiro Ramirez was born and raised in Carrizo Springs, Texas, on December 10, 1952, to Jesus and Julia Ramirez. He moved to Drayton, North Dakota, in the early 1970's and later to Fairview, Montana, to work in the oil fields. He then moved to Hallock, Minnesota and then lived in the Grand Forks and East Grand Forks area for many years. He enjoyed riding motor cycles and was an accomplished artist. Ramiro is survived by his children: Jasmyne and Joshua of Thief River Falls, Minnesota; Jesse and Janita (Casey) of Fargo; his special friend Marlene Phillips of Grand Forks; brothers: Felix G (Susana) Ramirez, East Grand Forks; Luis G Ramirez, St. Paul, Minnesota; sisters: Jesusa Brise�o, Carrizo Springs; Maria Luisa (Antonio) Lopez, Ulvadle, Texas; Juanita (Juan) Garza, Austin, Texas; Diana (Steve) Rowland Covington, WA; Mary Ellen (Jorge) Lopez, Auburn, WA. Preceding Ramiro in death are his parents. Daniel D. Rew, age 25, of Grand Forks, North Dakota, passed away on Saturday, April 13, 2013 at his home. Daniel Duane Rew was born on May 20, 1987, in Grand Forks, North Dakota, the son of Robby and Colleen (Kennedy) Rew. Daniel grew up in Grand Forks and attended school at Red River High School graduating with the Class of 2005. Daniel worked at Wal-Mart, I-29 Truck Stop, Hugo's #5 in East Grand Forks and Grand Forks Truss Inc. Daniel was a member of the Minnesota Limited #563 Union. Daniel is preceded in death by grandparents, Donnelly and Selma Kennedy. Memorial Service: 10:30 AM on Saturday, April 20, 2013 in Dahl Funeral Home Chapel, 2029 Central Ave. NW, East Grand Forks, Minnesota. Rodolfo "Rudy"/"Popo" Rivera Sr., 56 of Grand Forks, North Dakota, died Friday, May 3, 2013 at his home. Rudy Rivera was born July 1, 1956 in Moorhead, Minnesota the son of Celestino and Estella (Alonzo) Rivera. He grew up and graduated from Crystal City Texas, High School. He married Graciela Lopez on June 10, 1975 in Cavalier, North Dakota. They worked as migrant workers in the upper Red River Valley for a number of years. In 1987 they moved to East Grand Forks where he attended the EGF AVTI in mechanics. He worked for EGF School District, the Farmers Finest Bean Company from 2002 -- 2007 and from 2007 until present for the EERC in Grand Forks. He is survived by his wife Graciela of Grand Forks, children, Rick (Amy) Rivera of Shakopee, Minnesota, Rudy Jr. (Kristen) Rivera of Bismarck, North Dakota, Rolando (Kaylie) Rivera of Grand Forks, Rianna (Josh) Flores, of Grand Forks and Sylvia Linkous of Georgetown, Ohio, grandchildren, Danielle, Taylor, Kolby, Xavier, Riley, Nevaeh, Ebonye, and Dallas, siblings, Olga (Alex) Avalos, of Perrysburg, Ohio, Celestina Rivera of Crystal City, Texas, Magdalena (Silvestre) Rivera of Brownwood, Texas, Jorge Rivera of Crystal City, Texas, and his mother Estella Rivera of Crystal City, Texas. He is preceded in death by his father Celestino, 1 brother Guadalupe Rivera and 1 sister Esmeralda Martinez. Funeral Service: 10:30 AM, Thursday, May 9, 2013 at the Sacred Heart Catholic Church, East Grand Forks, Minnesota. 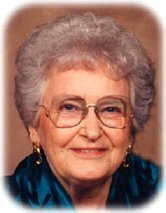 Jean I. Roberts, age 96 passed away on Sunday, June 23, 2013 at Good Samaritan Heritage Grove in East Grand Forks, Minnesota. Jean was born March 11, 1917 in Mallory, Minnesota the daughter of William and Eva (McDonald) Nisbet. She grew up in Mallory where she attended country grade school, then graduated from the Northwest School of Agriculture in Crookston, Minnesota. After graduation Jean attended Union Commercial Business College in Grand Forks, North Dakota. On September 12, 1937 she married Walter Roberts in Mallory, Minnesota. They farmed near Mallory their entire life. In 1972 they moved to East Grand Forks. Walter passed away on April 18, 1987. Jean is survived by her four children, Gerald (Joyce) Roberts, East Grand Forks, JoAnne (Tony) Johnson of Ladysmith, VA, Marjorie (Lynn) Stauss and Delores (Paul) Meland both of East Grand Forks; 1 sister, Helen Nisbet of East Grand Forks; 10 grandchildren, Nannette Cicha, Jeffrey Roberts, Teresa Roberts, Cyd Wong, Holly Ganster, Christian Johnson, Scott Stauss, Kelly Carlson, Jill Meulebroeck and Alyssa Tepper; 11 great-grandchildren, Becky and Laura Cicha, Grace Roberts, Jillian and Connor Wong, Alex and Parker Stauss, Evan, Nolan and Brady Meulebroeck and Sophia Tepper. Jean is preceded in death by her parents, William and Eva Nisbet; her brother Herbert; sister, Myrtle and her husband Walter. Memorials are requested to Mendenhall Presbyterian Church or the Nisbet Cemetery, both of East Grand Forks, Minnesota. Arthur D. Rud, age 86, of East Grand Forks, Minnesota, passed away Friday, July 5, 2014. He transitioned to his New Life while at home with family by his side. Arthur Duane Rud was born on March 24, 1928 in Warren, Minnesota, the son of Arthur C. and Cecilia A. (Bjorge) Rud. Arthur grew up in Marsh Grove Township and graduated from Newfolden High School in 1946. Arthur served in the Air Force (Atomic Energy Division), 1952 to 1956. On June 28, 1952, he was united in marriage to Viola Lucille Williamson. Art and Viola returned to Warren (1956), moved to the family farm (1957), and built a new home in Newfolden in 1962. When in Newfolden, Arthur was a member of Bethlehem Lutheran Church where he served on the church Council and was a Sunday school teacher. Art was a volunteer Fireman for the Newfolden Fire Department. Over the years, Art's business activities included ownership of the Newfolden Standard Oil Station, owner/operator of his own grain semi-trucks, and owner of 59 & 1 Trailer Service. He �retired' in 1990, but worked part-time in farming. He and Viola enjoyed winters in Arizona until 2011. Since 2006, Art and Viola have lived in East Grand Forks where Art was a member of Our Savior's Lutheran Church. Arthur enjoyed farming and business ownership, fishing, camping, travel, and conversation. Lately, he was faithful in lawn mowing at Our Savior's, and Hegland Cemetery, Pennington County. He was devoted to God, family, friends, and church. Family members of Arthur include his wife, Viola; children: Renee Mabey, Keith (Marty) Rud and Brian Rud; grandchildren: Steven (Liz), Melinda (Kurt Larson), Janna (Dane Crossley), Sarah, and JonathanLi; great-grandson, Radin; sister, Betty Gustafson; brother, Halward (Ardelle) Anderson, and numerous nieces and nephews. He is preceded in death by his parents and step-mother, Mildred Anderson Rud and an infant son Steven Craig Rud. Funeral Service: 11:00 AM on Friday, July 11, 2014 in Our Savior's Lutheran Church, 1515 5th Ave. NW, East Grand Forks, Minnesota.